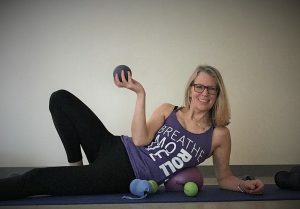 For information on Ball Sequencing and Innovation at YogaGeauga on Sunday, Sept. 22 please click here. If you want to use the Roll Model® name and branding in your class titles and descriptions and be identified as a Roll Model® Method practitioner, you can continue on the certification path. To earn the certification, you will also be required to: take Science of Rolling and complete its homework; and complete an online correspondence course and test based on the videos from Science of Rolling and The Roll Model® Method book. As a certified Roll Model® Method Practitioner you will be recognized as having gone through the proper educational training and hands on skill drills and proven to understand and apply all the core fundamentals of The Roll Model® Method.